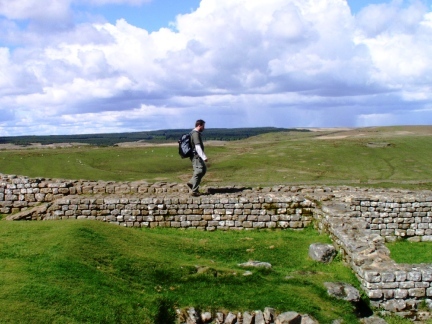 A brilliant walk along the finest section of Hadrian's Wall rounded off by an exploration of the ruins of Housesteads Roman Fort. 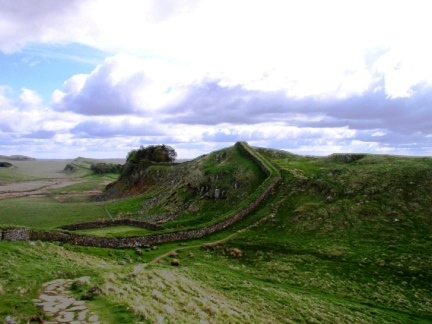 Walk Detail: While the evening before had taken in the highest point on Hadrian's Wall it was still really just an appetiser for the main event which was the traverse of possibly the most popular (and most photographed) section of the wall. 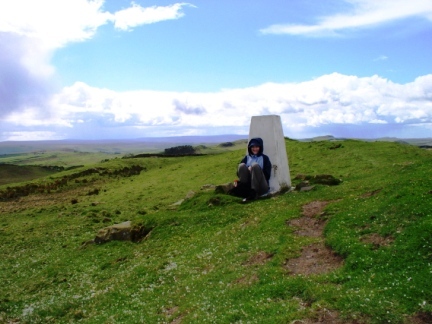 "Upon arriving at the trig point we were overtaken by a quite amazing, and rather painful, hailstorm and had to duck for cover again this time behind the column itself." 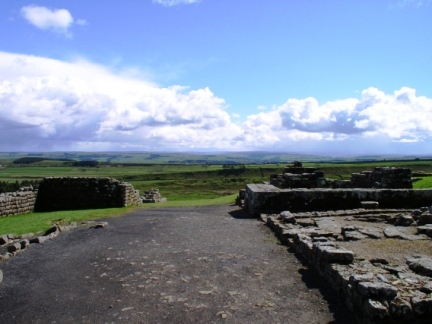 We started from Housesteads car park and as the weather was good at the time we decided to press ahead with the walk and view the fort itself at the end of the walk. 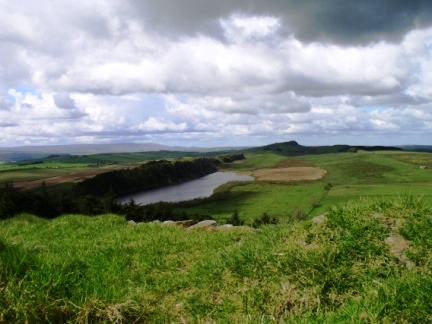 From the wooded Housesteads Crag we headed west climbing in turn Cuddy’s and Hotbank Crags. The view from the latter was particularly good with the eastern side giving you a classic view of Cuddy’s Crag while the western side gave a good view of Crag Lough nestled beneath the dramatic Highshield Crag. 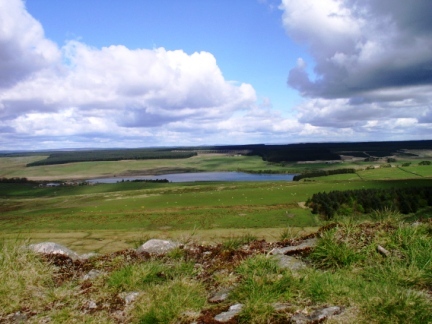 To the north there were also good views of the Greenlee Lough and the forests of Wark and Kielder with the Simonside and Cheviot hills also making an appearance. One of the joys of this walk was the fact each crag gave another new and exciting perspective on the area and I seemed to have my camera out almost permanently. 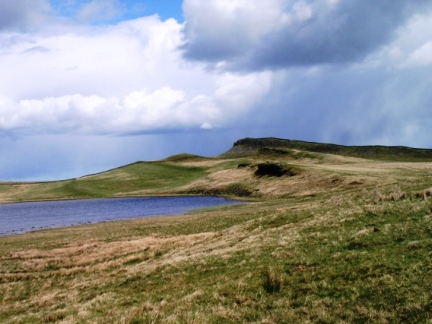 The other great thing was that each crag had its own distinct personality, none more so than Highshield Crags with its dramatic drop into Crag Lough. 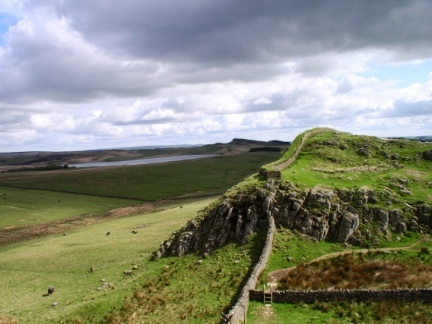 Apart from the great views there was the wall itself which varied from looking like an ancient wall to a modern day drystone wall. 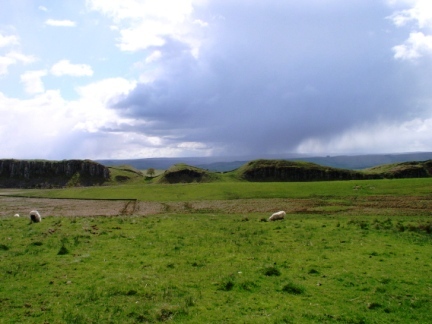 However the place still reeked of history and there were also the remains of various milecastles to explore, perhaps the most impressive we saw were numbers 37 and 39. 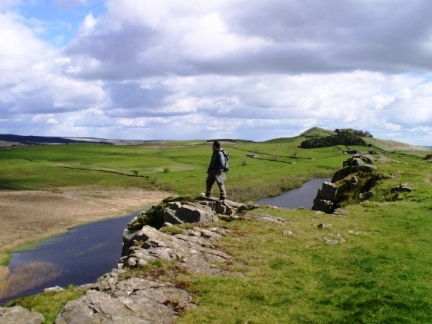 By the time we descended the very steep western side of Peel Crags down to Steel Rigg we were both quite looking forward to walking on the level for a while. Walking the wall was very exciting but its steep ascents and descents were quite demanding physically. The walk back west to the north of the wall gave us a completely different perspective of the area we had already traversed. It was also at this point that the weather became somewhat more changeable. During one particularly heavy shower we huddled for cover behind a sizeable limekiln just to the north of the gap between Cuddy’s and Hotbank Crags. 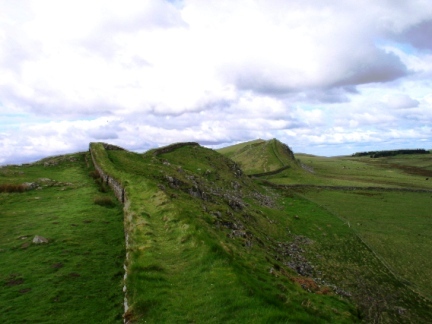 When we made it back to the wall we headed up Sewingshields Crag so that I could visit another OS Column. Upon arriving at the trig point we were overtaken by a quite amazing, and rather painful, hailstorm and had to duck for cover again this time behind the column itself. While the view from the trig point is good it is absolutely stunning from the western edge. 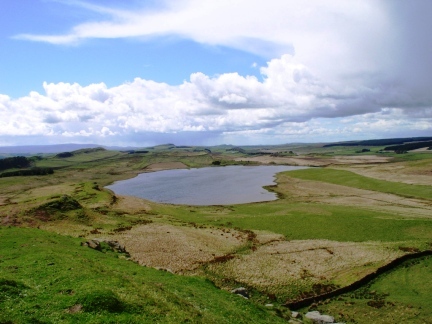 As it is further north than its neighbours it gives a great view of the Whin Sill Ridge, a view enhanced by the attractive Broomlee Lough in the foreground. I was particularly lucky to get pictures both just as the weather was turning bad (very dramatic!!) and then again when the sun came out again (beautiful). 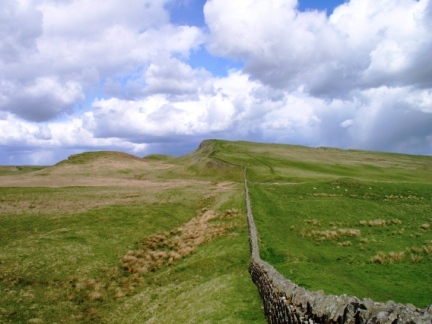 After leaving Sewingshields we crossed over King’s Hill and the modest Kennel Crags to return to Housesteads. While there are only really foundations to see it is still an impressive ruin and commands some good views of its own. Without a doubt this is one of the best walks I've yet done.